Longtime Baltimore icon and internationally known expert on race and culture Leslie King-Hammond (left)will be curating the upcoming People of Color, People of Clay (POC2) exhibition at Baltimore Clayworks. The show will feature work created by artists of color from across the country. "It's absolutely amazing," said Devon Powell, Clayworks Interim Executive Director in discussing King Hammonds' involvement with the exhibition. "It's huge. 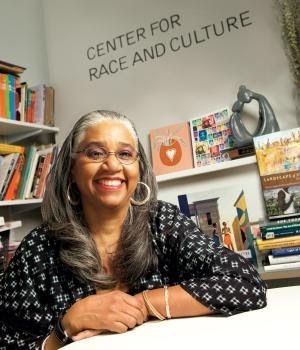 I don't think we could have asked for or gotten a better-suited person to curate this exhibition, and I don't have the words to express the organization's appreciation and gratitude." The premise behind POC2 was grounded in the unearthing of exhibiting artists' love of clay, and the voice they found upon the first touch of the materials, and will illustrate the creative community of clay coming together to celebrate, raise up, and promote one another. Artists confirmed as presenting their work in the exhibition include: Gina Aparicio, Mariana Baquero, Sophia Capaldi, Patsy Cox, Rachel Eng, Michel Fujita, Blanca Guerra, Aisha Harrison, Kahlil Irvin, Akiko Jackson, Rob Kolhouse, Jae Won Lee, Courtney Leonard, David MacDonald, Julie Moon, Malcolm Mobutu Smith, Nathan Murray, Mario Mutis, Sharon Norwood, Ruben Olguin, Mercedes Ortiz, Sonya PauKune, E. M. Ray, Nigel Rudolph, Nan Smith, and James Watkins. 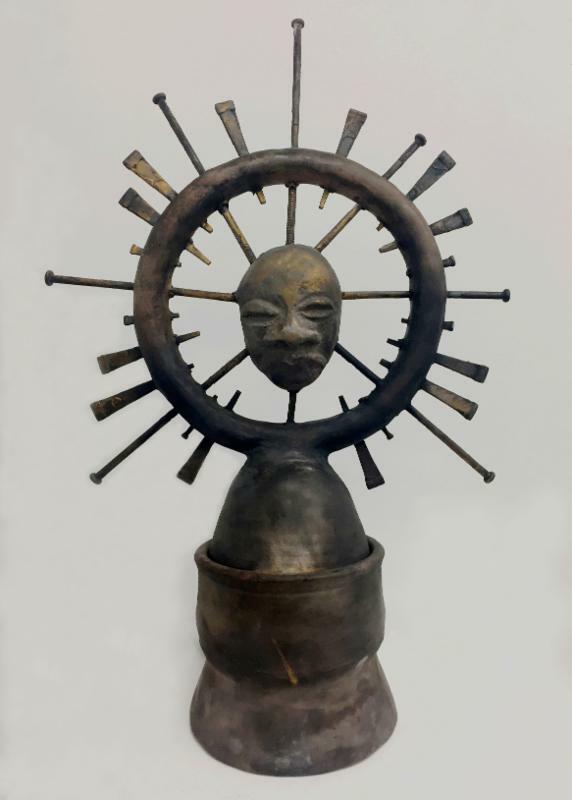 Also on display in the Solo Gallery will be a collection of pieces from Sharif Bey, Associate Professor of Art Education at Syracuse University, whose work ranges from decorative/functional pottery to conceptual wearable ceramic works. His solo exhibition includes artwork inspired by functional pots as well as nonwestern rituals, traditions, and practices. (Left: "Star Child"
Local artists Oletha DeVane and Sallah Jenkins will also be presenting their works in the Project Space and Community Arts Gallery. DeVane, an Ellicott City resident, is a multi-media artist who will be displaying several recent 2-D pieces. Jenkins, a long-standing Community Arts instructor with Clayworks and Baltimore native, will be presenting works titled "Sacred." Baltimore Clayworks' mission is to develop, promote and sustain an artist-centered community, which provides outstanding artistic, educational and collaborative programs in the ceramic arts. Founded in 1980 by a group of nine community-minded ceramic artists, Baltimore Clayworks has developed a strong local and global reputation for artists' development coupled with sustained community engagement. Baltimore Clayworks lives its mission daily through its programs: Artists residencies; Ceramic classes and workshops taught by working artists; Exhibitions of nationally and internationally recognized ceramic artists; and a Community Arts program that serves underserved populations at sites across the Baltimore region.